At the monkey haven you can see different animals including Lar Gibbons, Barbary Macasques, Capuchins, Lemurs, Meerkats, Colobus monkeys, birds of prey including owls. The signage when we went said about reptiles, though there were non there that we could see, though they we doing a fair bit of building work, so looks like they will be adding more soon. Thought out the day they have different activities and talks we watched one of the keeper feeding the Javan Langurs, Red Tailed Guenon and lemurs. The talk she gave was very informative and you could ask any questions you wanted. The best part was the Lar Gibbons, well lets put it this way when you arrive in the car park you will be able to hear them. They seemed very active and calling at lot while we was there, it was amazing to watch them, swing about in their space. All the cages and habitat look well kept and the animals seem really happy in their environments. 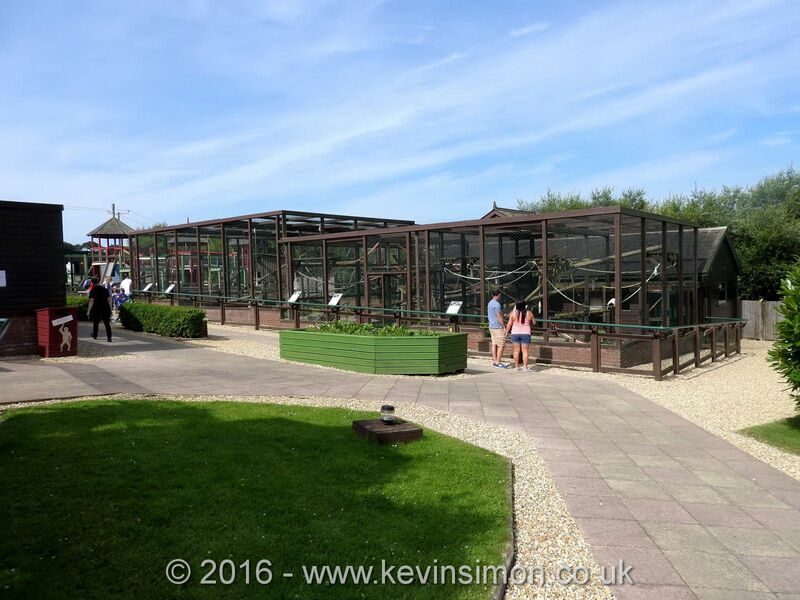 We enjoyed looking around the Monkey Haven, though we did expect a bit more as we had looked around within about 30mins, now yes it is nice to see the animals and birds, but once you have looked at them for a few minutes, its not enough to hold some people attention. Though that being said this is run as a charity and they do rehome animals that wouldn’t survive in the wild. So paying you entrance fee is keeping this going. If you are on holiday on the Isle of Wight I would suggestion a visit, but go on your first day as you tickets are open so you can return again while on your stay without having to pay the entrance fee again.